A book should have either intelligibility or correctness; to combine the two is impossible, but to lack both is to be unworthy of a place as Euclid has occupied in education. In essay, 'Mathematics and the Metaphysicians' (1901), collected in Mysticism and Logic: And Other Essays (1917), 73. The essay was also published as 'Recent Work in the Philosophy of Mathematics', in the American magazine, International Monthly. A modern branch of mathematics, having achieved the art of dealing with the infinitely small, can now yield solutions in other more complex problems of motion, which used to appear insoluble. This modern branch of mathematics, unknown to the ancients, when dealing with problems of motion, admits the conception of the infinitely small, and so conforms to the chief condition of motion (absolute continuity) and thereby corrects the inevitable error which the human mind cannot avoid when dealing with separate elements of motion instead of examining continuous motion. In seeking the laws of historical movement just the same thing happens. The movement of humanity, arising as it does from innumerable human wills, is continuous. To understand the laws of this continuous movement is the aim of history. … Only by taking an infinitesimally small unit for observation (the differential of history, that is, the individual tendencies of man) and attaining to the art of integrating them (that is, finding the sum of these infinitesimals) can we hope to arrive at the laws of history. War and Peace (1869), Book 11, Chap. 1. A theory with mathematical beauty is more likely to be correct than an ugly one that fits some experimental data. God is a mathematician of a very high order, and He used very advanced mathematics in constructing the universe. In Scientific American (May 1963). As quoted and cited in The Hutchinson Encyclopedia of Science (1998), 468. A Vulgar Mechanick can practice what he has been taught or seen done, but if he is in an error he knows not how to find it out and correct it, and if you put him out of his road, he is at a stand; Whereas he that is able to reason nimbly and judiciously about figure, force and motion, is never at rest till he gets over every rub. Letter (25 May 1694) to Nathaniel Hawes. In J. Edleston (ed. ), Correspondence of Sir Isaac Newton and Professor Cotes (1850), 284. Biot, who assisted Laplace in revising it [The Mécanique Céleste] for the press, says that Laplace himself was frequently unable to recover the details in the chain of reasoning, and if satisfied that the conclusions were correct, he was content to insert the constantly recurring formula, “Il est àisé a voir” [it is easy to see]. In History of Mathematics (3rd Ed., 1901), 427. But ... the working scientist ... is not consciously following any prescribed course of action, but feels complete freedom to utilize any method or device whatever which in the particular situation before him seems likely to yield the correct answer. ... No one standing on the outside can predict what the individual scientist will do or what method he will follow. Chief Seattle, of the Indians that inhabited the Seattle area, wrote a wonderful paper that has to do with putting oneself in tune with the universe. He said, “Why should I lament the disappearance of my people! All things end, and the white man will find this out also.” And this goes for the universe. One can be at peace with that. This doesn’t mean that one shouldn’t participate in efforts to correct the situation. But underlying the effort to change must be an “at peace.” To win a dog sled race is great. To lose is okay too. Don’t confuse hypothesis and theory. The former is a possible explanation; the latter, the correct one. The establishment of theory is the very purpose of science. Martin H. Fischer, Howard Fabing (ed.) and Ray Marr (ed. ), Fischerisms (1944), 7. For it is the duty of an astronomer to compose the history of the celestial motions or hypotheses about them. Since he cannot in any certain way attain to the true causes, he will adopt whatever suppositions enable the motions to be computed correctly from the principles of geometry for the future as well as for the past. From unauthorized preface Osiander anonymously added when he was entrusted with arranging the printing of the original work by Copernicus. As translated in Nicolaus Copernicus and Jerzy Dobrzycki (ed. ), Nicholas Copernicus on the Revolutions (1978), xvi. Given as “fashioned from Boltzmann’s notes for his lecture on natural philosophy on October 26, 1904” and translated in John Blackmore (ed. ), Ludwig Boltzmann: His Later Life and Philosophy, 1900-1906 (1995), 136. Blackmore indicates (p.133) that since Boltzmann spoke freely, this may not be verbatim for what he actually said, because he did not read his lectures from his notes. However, it does “rather accurately represent his thinking” at the time he wrote his lecture. His Lectures on Natural Philosophy (1903-1906) were reconstructed from Boltzmann’s shorthand notes by Ilse M. Fasol-Boltzmann (ed. ), in Ludwig Boltzmann Principien der Naturfolosofti (1990). This quote is translated from p.109. I would teach the world that science is the best way to understand the world, and that for any set of observations, there is only one correct explanation. Also, science is value-free, as it explains the world as it is. Ethical issues arise only when science is applied to technology – from medicine to industry. Response to question “What is the one thing everyone should learn about science?” in 'Life Lessons' The Guardian (7 Apr 2005). Imagination comes first in both artistic and scientific creations, but in science there is only one answer and that has to be correct. In 'Discoverers of the Double Helix', The Daily Telegraph (27 Apr 1987), in Max Perutz (ed. ), Is Science Necessary: Essays on Science and Scientists (1991), 182. It appears that anything you say about the way that theory and experiment may interact is likely to be correct, and anything you say about the way that theory and experiment must interact is likely to be wrong. In Dreams of a Final Theory: The Scientist's Search for the Ultimate Laws of Nature (1992), 128. As quoted in John Horgan, 'The Death of Proof', Scientific American (Oct 1993), 269, No. 4, 103. I’m very intense in my work. At any given moment, I think I know the answer to some problem, and that I’m right. Since science is the only self-correcting human institution I know of, you should not be frightened to take an extreme stand, if that causes the stand to be examined more thoroughly than it might be if you are circumspect. I’ve always been positive about the value of the Hubble constant, knowing full well that it probably isn’t solved. In The Burning Brand: Diaries 1935-1950 (1961), 56. As quoted in Desmond MacHale. Comic Sections (1993), 107, without citation. Please contact the Webmaster if you know the primary source. Now do you not see that the eye embraces the beauty of the whole world? It counsels and corrects all the arts of mankind... it is the prince of mathematics, and the sciences founded on it are absolutely certain. It has measured the distances and sizes of the stars it has discovered the elements and their location... it has given birth to architecture and to perspective and to the divine art of painting. People may believe correct things for the damnedest and weirdest of wrong reasons. As described in Ronald William Clark, Einstein: The Life and Times (1995), 248-249. In A History of Western Philosophy, (1945, 1996), 553. Symbolism is useful because it makes things difficult. Now in the beginning everything is self-evident, and it is hard to see whether one self-evident proposition follows from another or not. Obviousness is always the enemy to correctness. Hence we must invent a new and difficult symbolism in which nothing is obvious. … Thus the whole of Arithmetic and Algebra has been shown to require three indefinable notions and five indemonstrable propositions. In International Monthly (1901), 4, 85-86. That which is perfect in science, is most commonly the elaborate result of successive improvements, and of various judgments exercised in the rejection of what was wrong, no less than in the adoption of what was right. Reflection 490, in Lacon: Or Many Things in Few Words, Addressed to Those who Think (1832), 202. In Ex-Prodigy: My Childhood and Youth (1953), 21. The idea that time may vary from place to place is a difficult one, but it is the idea Einstein used, and it is correct—believe it or not. The question of the origin of the hypothesis belongs to a domain in which no very general rules can be given; experiment, analogy and constructive intuition play their part here. But once the correct hypothesis is formulated, the principle of mathematical induction is often sufficient to provide the proof. As co-author with Herbert Robbins, in What Is Mathematics? : An Elementary Approach to Ideas and Methods (1941, 1996), 15. The work of a pioneer in science of technique often consists of finding a correct solution, or creating a working mechanism, based on laws that are not yet discovered. The [Pentium] co-processor is designed to give you 19 digits correct.… For it to give you only 10 is just utterly atrocious To get a result that poor from that co-processor is like having the transmission fall out of your Ford. Concerning a flaw in the (then) new Pentium chip. In Peter Baker, 'Hello, Mr. Chips: Va. Teacher Who Found Intel’s Flaw', Washington Post (16 Dec 1994), A1. There are reported to be six species of metals, namely, gold, silver, iron, copper, tin, and lead. Actually there are more. Mercury is a metal although we differ on this point with the chemists. Plumbum cinereum (gray lead) which we call bisemutum was unknown to the older Greek writers. On the other hand, Ammonius writes correctly many metals are unknown to us, as well as many plants and animals. Two of his [Euler’s] pupils having computed to the 17th term, a complicated converging series, their results differed one unit in the fiftieth cipher; and an appeal being made to Euler, he went over the calculation in his mind, and his decision was found correct. In Letters of Euler (1872), Vol. 2, 22. What else can the human mind hold besides numbers and magnitudes? These alone we apprehend correctly, and if piety permits to say so, our comprehension is in this case of the same kind as God’s, at least insofar as we are able to understand it in this mortal life. As quoted in Epilogue, The Sleepwalkers: A History of Man’s Changing Vision of the Universe (1959), 524. Where do correct ideas come from? Do they drop from the skies? No. They come from social practice, and from it alone; they come from three kinds of social practice, the struggle for production, the class struggle and scientific experiment. In Where do Correct Ideas Come From? (May 1963). As quoted and cited in Quotations from Chairman Mao Tse-Tung (1966, 1972), 206. While seeing any number of black crows does not prove all the crows are black, seeing one white crow disproves it. Thus science proceeds not by proving models correct but by discarding false ones or improving incomplete ones. In 'On the Nature of Science', Physics in Canada (Jan/Feb 2007), 63, No. 1, 7. 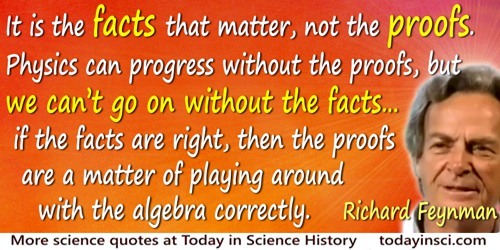 … the three positive characteristics that distinguish mathematical knowledge from other knowledge … may be briefly expressed as follows: first, mathematical knowledge bears more distinctly the imprint of truth on all its results than any other kind of knowledge; secondly, it is always a sure preliminary step to the attainment of other correct knowledge; thirdly, it has no need of other knowledge. In Mathematical Essays and Recreations (1898), 35. “If there are two theories, one simpler man the other, the simpler one is to be preferred.” At first sight this does not seem quite so bad, but a little thought shows that our tendency to prefer the simpler possibility is psychological rather than scientific. It is less trouble to think that way. Experience invariably shows that the more correct a theory becomes, the more complex does it seem. … So this … interpretation of [Ockham’s Razor] is … worthless. With co-author Nalin Chandra Wickramasinghe, Evolution from Space (1981), 135.